By the mid-1800s, news of the discovery of gold in California reached its way across the Pacific and spread quickly throughout China. 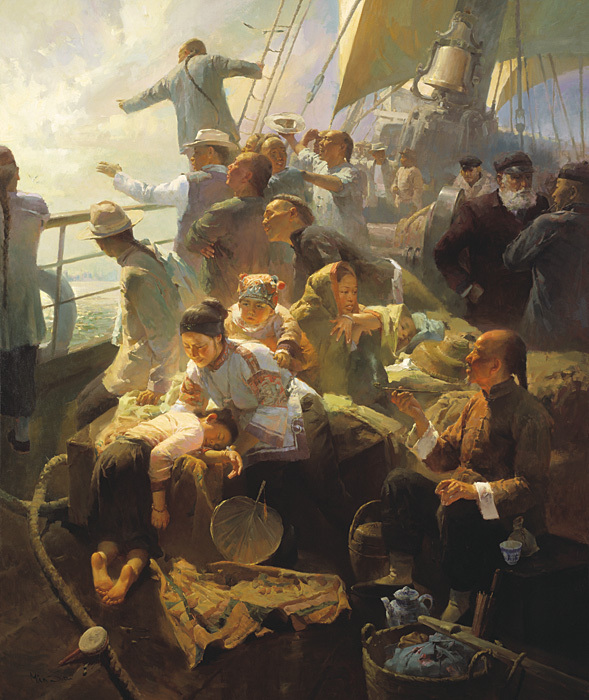 Trade relations had brought some Chinese to California as early as the sixteenth century, but the gold rush brought tens of thousands of emigrants in search of better economic opportunities and political freedom. Thirty dollars was the fare for Chinese passage to America, and these passengers were restricted to an area of the upper deck unless foul weather forced them below. This painting depicts a first sighting of America, the Golden Mountain.